Marshall guard Shayna Gore (14) prepares to run a play during a Conference USA game against Louisiana Tech at the Cam Henderson Center. 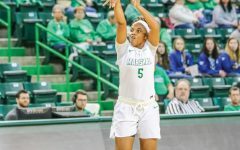 Shayna Gore’s game-high 26 points were not enough to lift Marshall to a win on Play4Kay day, as visiting Western Kentucky escaped the Cam Henderson Center with a 69-66 overtime win over the Thundering Herd. 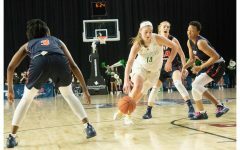 The Herd’s offense found itself going shot-for-shot throughout the contest with the lead changing 18 times in the game with the Herd taking a one-point lead over the Lady Toppers into halftime. In addition to Gore’s 26, Sophomore guard Kristen Mayo dropped 13 points, while redshirt senior guard Taylor Porter followed behind with 12 points. Western Kentucky junior forward Dee Givens dropped 23 points, going 6-for-14 in field goals, 3-for-7 in 3-pointers and 8-for-10 in free throws. Sophomore forward Raneem Elgedawy dropped 16 points, while junior guard Alexis Brewer and sophomore forward Arame Niang dropped 11 points each to pace the Lady Toppers. Kemper said that he thought there was an energy level issue after the Herd came out after Halftime. 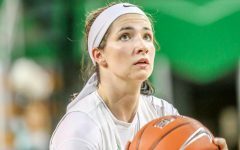 The Herd had some foul trouble deep into the fourth period of play, racking up ten fouls that allowed WKU to score to eight points. 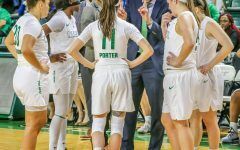 This would continue into overtime when the Herd racked up four more fouls, which the Lady Toppers converted into six points. 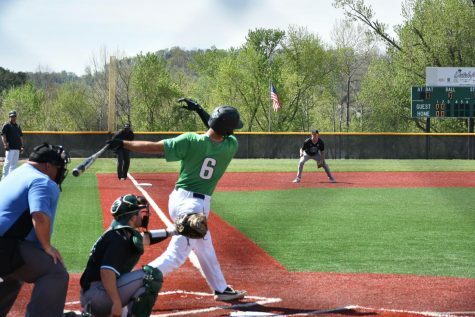 Kemper credited the visitors for their performance, highlighting their offense and their playmakers. 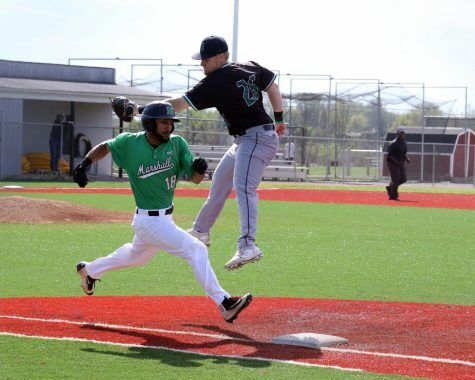 With the loss the Herd fell to 15-12 and 9-5 in Conference USA play, while Western Kentucky advanced its record to 15-13 and 9-5 in conference play. 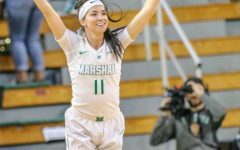 Marshall sophomore guard Kristen Mayo said that after the game is over you just have to move on. 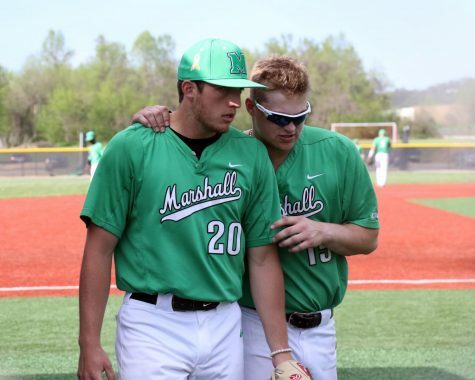 Similarly, Kemper said that the Herd has to learn from the loss. 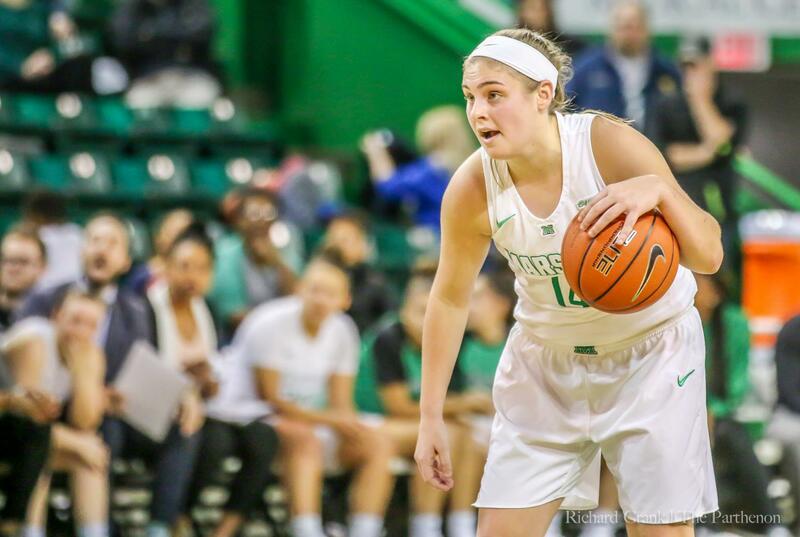 The Herd will travel to Norfolk, Virginia, to play its final road game of the regular season against Old Dominion Saturday at the Ted Constant Convocation Center. Tipoff is slated for 4 p.m.